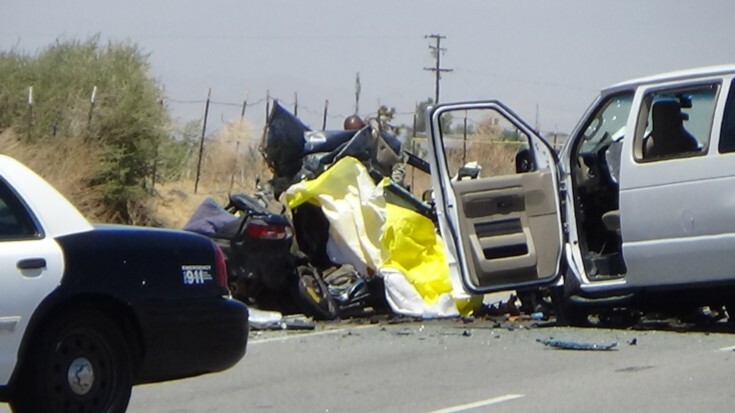 PALMDALE – Two adults and two young children — believed to be a family of four — were killed Tuesday in a two-vehicle crash in Palmdale. 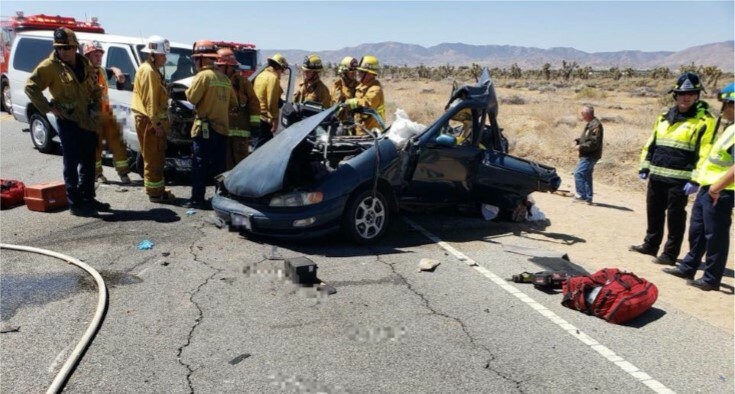 A sedan and an Antelope Valley Transit Authority van pool vehicle were involved in the collision, which occurred about 10:25 a.m. Tuesday, July 3, at Sierra Highway near Avenue O, officials said. According to coroner’s Assistant Chief Ed Winter, three people died at the scene: a man about 20-25 years old; a woman about 20-25; and a girl about 1-2 years old. Another girl, about a year old, died at a hospital, Winter said. An investigator told reporters at the scene the victims are believed to be a mother, father and their two children. Their names were withheld, pending notification of relatives. The van driver was taken to a hospital for treatment of non-life- threatening injuries, according to the sheriff’s department, which reported that investigators believe the family’s vehicle veered into the path of the oncoming van. No further details on the crash were immediately available. 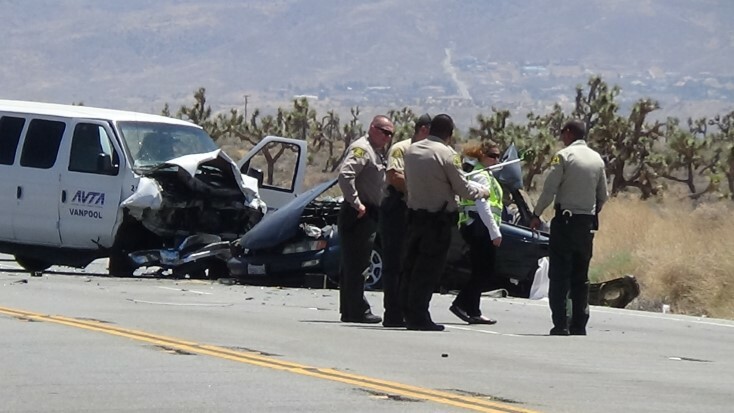 26 comments for "Four killed in two-vehicle crash in Palmdale [updated]"
Yes, this is a horrible tragedy. For the deceased family and first responders. May I ask the City, State? When the hell are you going to divide, with barriers, both Sierra Hwy and Pearblossom Hwys? I avoid both roads, at all cost. Leilei may you and your family all rest together in paradise. Family, you’re in my prayers . My heart is hurting even though I don’t know them. May the whole family rest in peace. Prayers for the relatives who lost these innocent people. Jersey barriers are needed between Ave M and Ave P on Sierra highway. I always drive in the right lane for this reason. Sorry to see this happen. Very sad. Just incredible, a whole family gone, blink. A really tragic event and may the living relatives of this family find peace in this horrible loss. Please be safe out there all! Put the cell phone away, don’t get distracted while driving and never drink if you have to drive. My guess is that he may have blown a tire jerking the driver into oncoming traffic. This stretch of highway, just like Pearblossom Hwy near Sierra, only has a double yellow line separating traffic. This is the real reason this happened because it only takes a slight swerve to cause a head-on collision with a combined velocity of over 100mph. This is horrible. A whole family gone just like that, RIP . May their family find strenght to deal with this. May the families involved with the tragedy be comforted by gods hands.